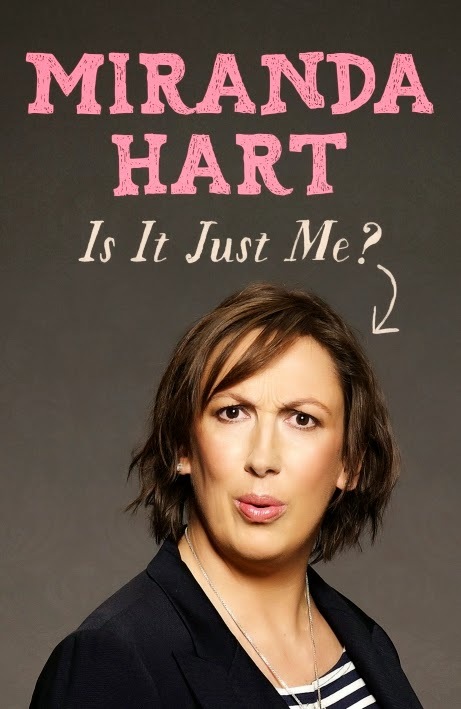 Is It Just Me?- Miranda Hart. This was read as part of my 2014 reading Challenge on Goodreads.com. Now I have to admit I went into this book not knowing what to expect. The only thing I had seen Miranda in was Smack the Pony and one Episode of Call the Midwife. What I found was a likeable if not slightly neurotic book on a vast variety of subjects from smacking someone in the face with a prawn to her uncomfortable feelings towards beauticians and spa days. Much of the dialogue is between her and her 18 year old self, exposing the differences between what she wanted to be and who she is now. She does refer to the reader on a number of occasions as "My dear reader chum" which gets shortened throughout the book to MDRC and after a while does tend to become irritating. The comedy elements however are pulled off with aplomb, she has a natural likeable style of writing and constantly relates to everyday situations in the funniest way possible (especially the office work bit.) By no means is this a challenging read but if you want a bit of light-hearted fun for a couple of hours you could do a lot worse. Plus if you read it while spinning on your Spinney chair it adds something. For that I would give it 8 out of 10.